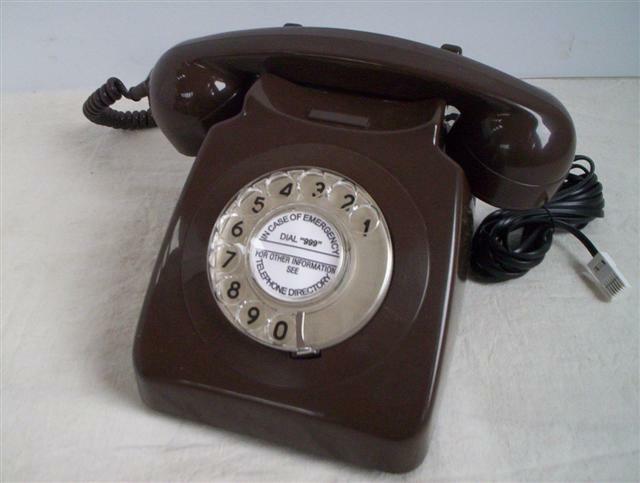 A typical seventies telephone, although produced before and after this decade. Of the seven colours that the 746's were made in ( as well as the very rare, black version), the chocolate brown phones are the ones that tend to best retain their richness of colour and original lustre. The brown colour fits in with chic, contemporary look as well as a traditional interior.